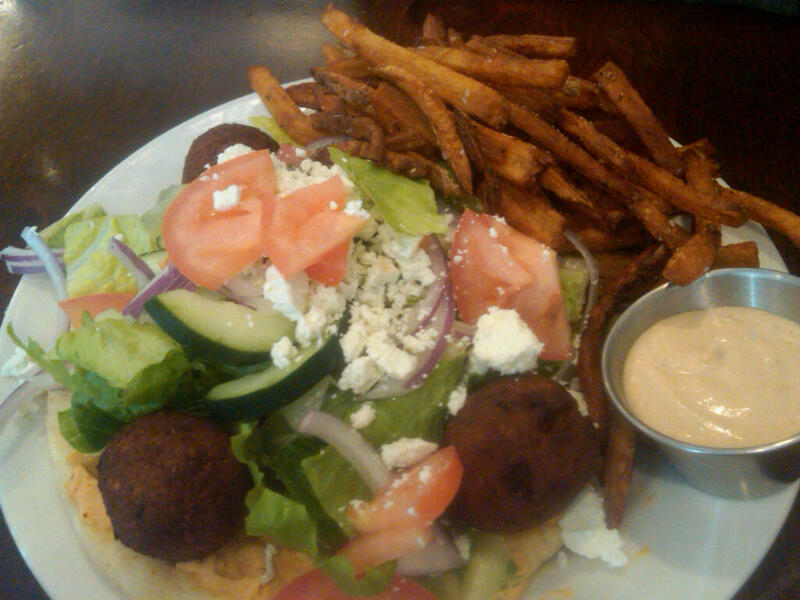 The husband had the gyro. 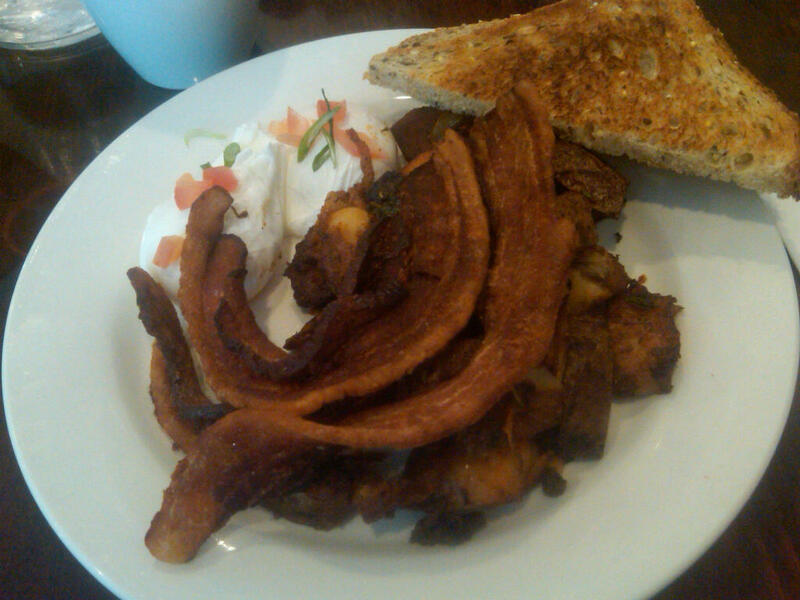 Nice and fresh with crispy fries. I love crispy fries. 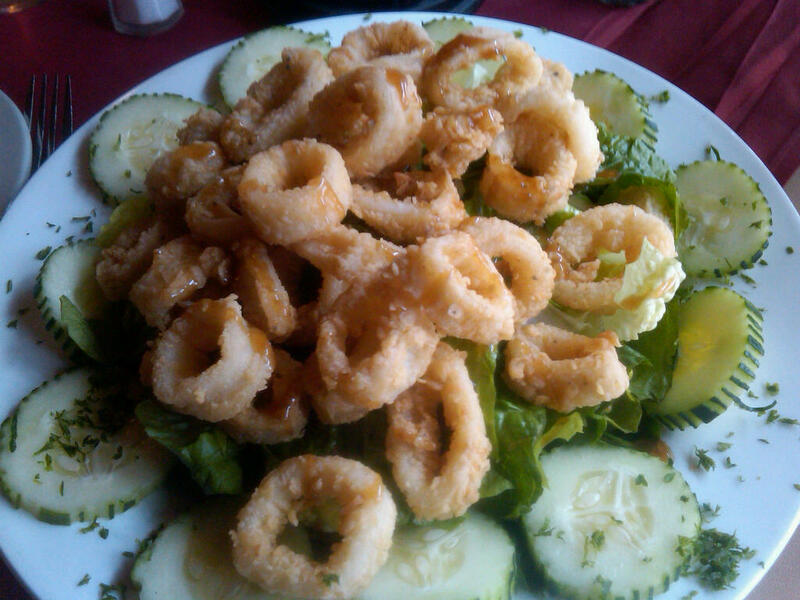 Calamari salad from Aya’s with a gingery sweet dressing. 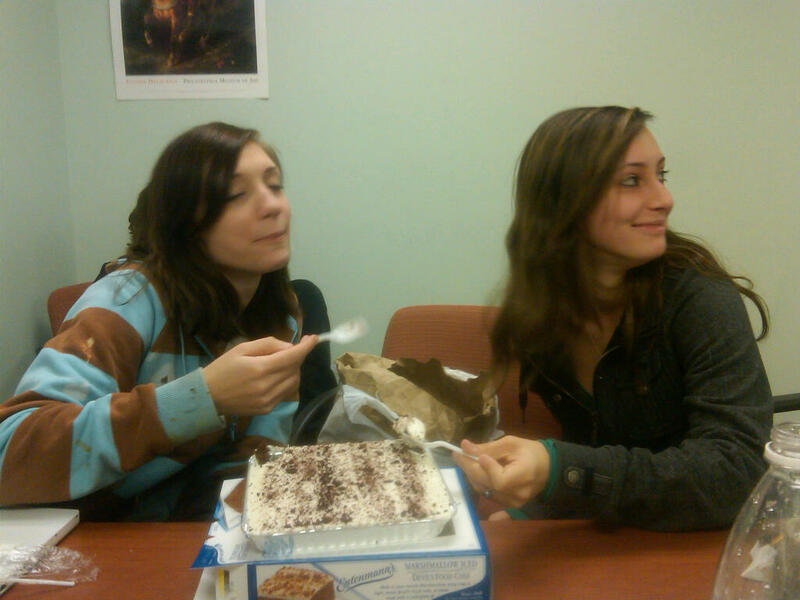 Entenmann’s cake with two of my lovely students who will kill me if they see this picture. 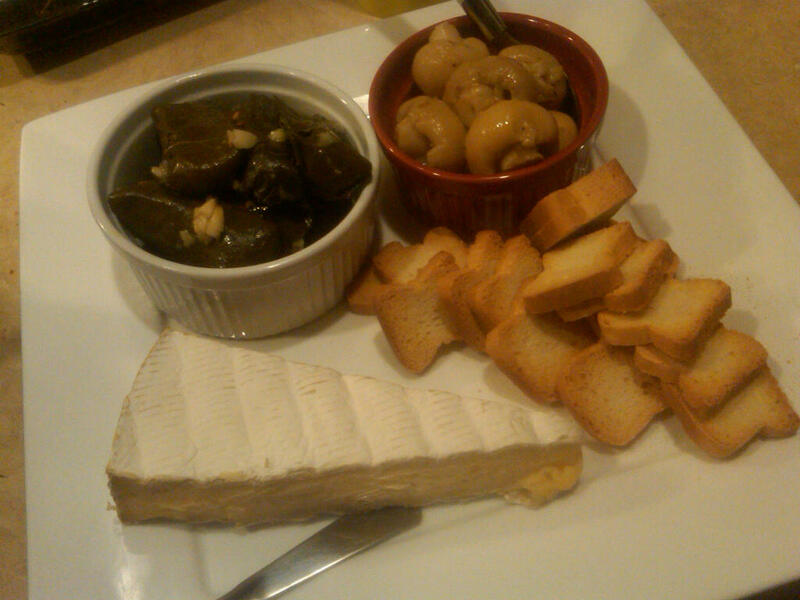 And some Super Bowl treats.Triple creme brie, marinated mushrooms and dolmas from DiBruno’s. Yum! 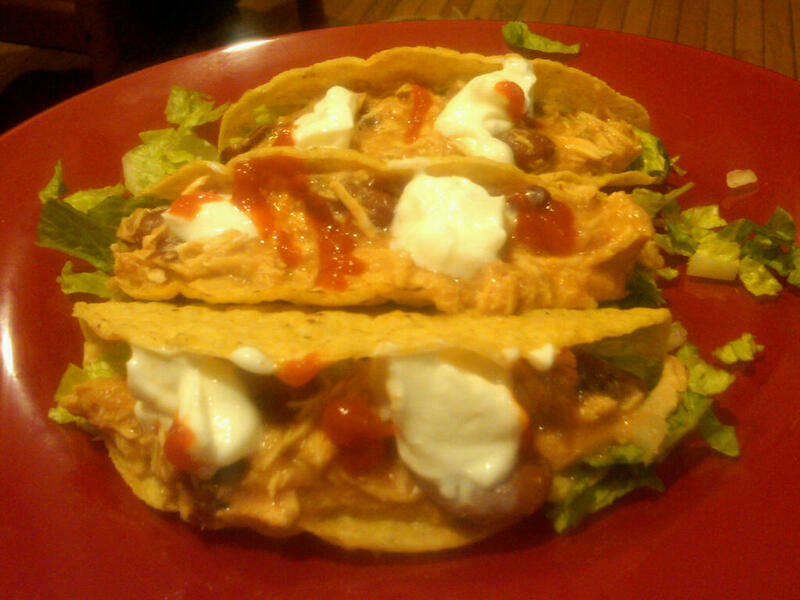 Almost didn’t have room for buffalo wings two ways…but we did the Kobayashi wiggle and it was all good.